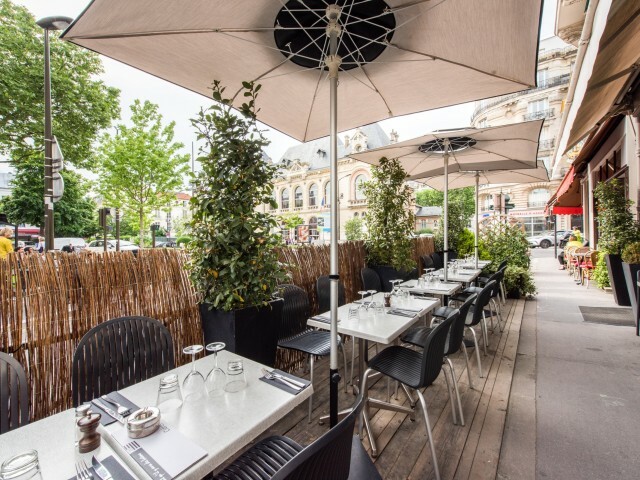 As long as there Breton is located at 1 rue de Billancourt, opposite the Theatre of the West of Paris right in Boulogne-Billancourt. This colorful property will delight all lovers of fresh produce and Breton specialties. This pancake like no other offers a wide range of elaborate cakes, gourmet pancakes, but also a menu on the blackboard "Back Market" with fresh products and depending on the catch in which you can sample more traditional food such as fish and meat. Generous and colorful plates. The layout and decoration, offer a friendly atmosphere conducive to tasting and good humor. Whether for a business lunch on the go or during a tender evening, the creperie As long as there Breton will make you travel. The welcome and service are warm there. Open Tuesday to Saturday, except holidays.